Home Gaming Technology Cool gadgets for your Smartphone. Cool gadgets for your Smartphone. 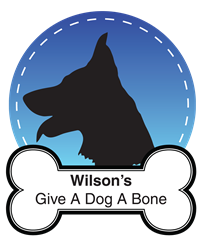 As far as I'm aware this device hasn't been launched yet it is still a concept but such a good one I had to share it with you all! 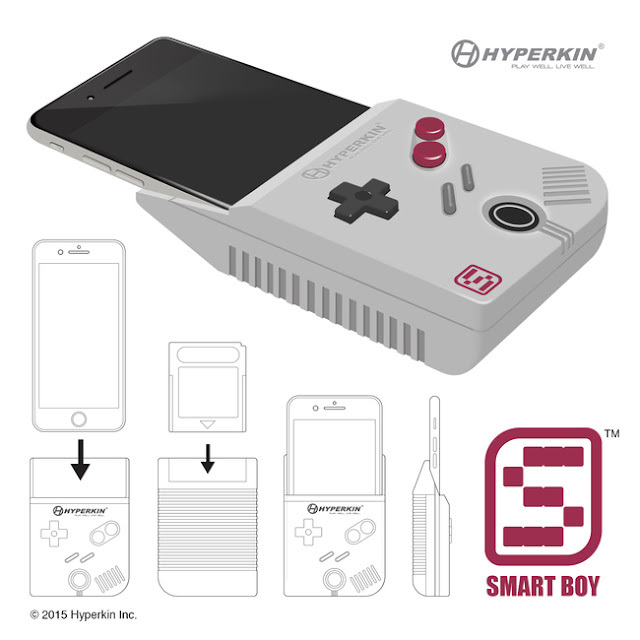 A company named Hyperkin are working on this device called The Smartboy, The smart boy allows you to turn your iphone 6 into a gaming device, it has the same design as the game boy. It let's gamers insert actual Gameboy cartridges giving you the same expierences as an old Gameboy, you can use this without any batteries as it gets power from the iphone, I do hope it launches soon because I would love to try it out! 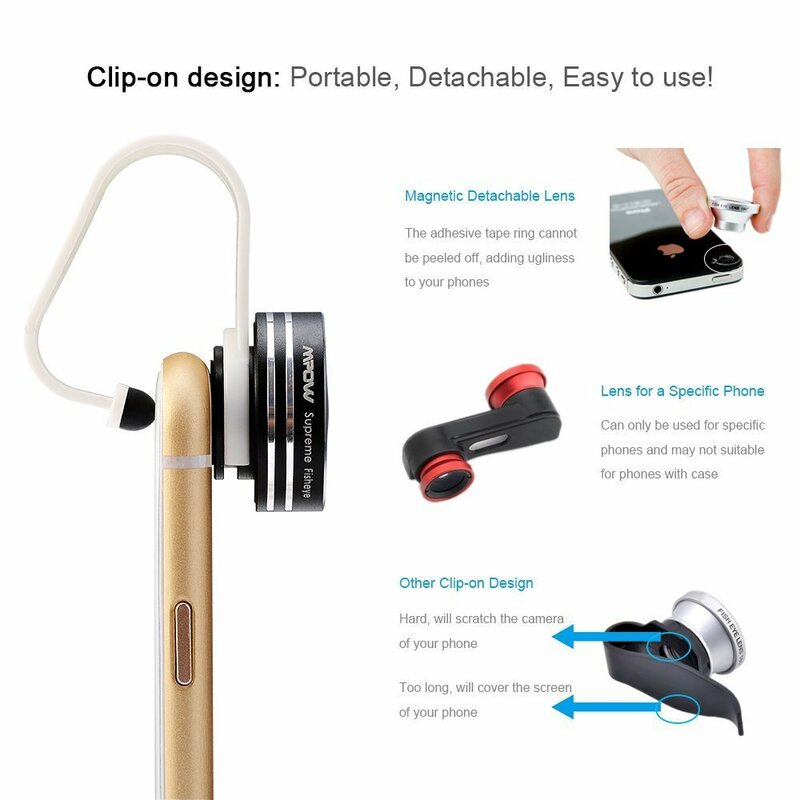 This is a 3 in 1 clip-on detachable jelly lens for mobile phones and digital cameras, for such a cool little gadget it comes with a small price tag but from what I have read from the reviews it's brilliant for the price tag £12.99. This lens lets you see the image with the range of 180 degrees from the right to the left on your phone, the fish eyelense doesn't leave behind a dark circle giving you nice clear pictures. It clamps onto your phone and is detachable, it works with most types of mobiles just as long as their camera lenses are no bigger than 13mm, it can also be used on laptops and tablets. you can purchase this lens from Amazon for £10.09 at the moment! I came across Mijuice on Instagram sometime last year, I was actually pleased to see such sleek a nice cases which extend battery life, you put the case on like any other case except this one has a built in battery the battery inside the case automatically switches off when your phone reacherd 100% battery life. 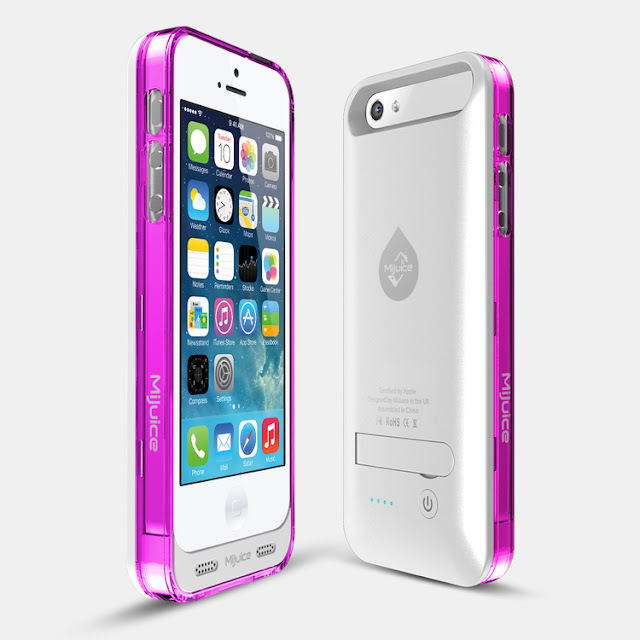 Other cases that I have seen like this are big and bulky and I'm more of a slim phone kind of girl. They don't just stock cases for the iphone either, they cater for Samsung's too, with different designs and colours, their prices range from £4.99 to £39.99 depending on what kind of case you want, I personally would pay more for a quality case which gives my phone more life than something cheap that is bulky and ugly, my phone is something that I don't fancy breaking due to a cheap charger breaking it so Mijuice is perfect! This nifty gadget is a portable printer that your phone slides into and prints out pictures from your phone, I love this idea because what person wants to waste their time doing down to Asda and plugging their phone into the photo machine to get pictures printed out when you can do it at home or out and about yourself! Right now you can only pre order this device and is currently only available for iPhone 5/5S/5C/6 and the Samsung Galaxy S4/S5 right now it will be retailing at $129 for the case and 10 photo sheets and refills will be $5. 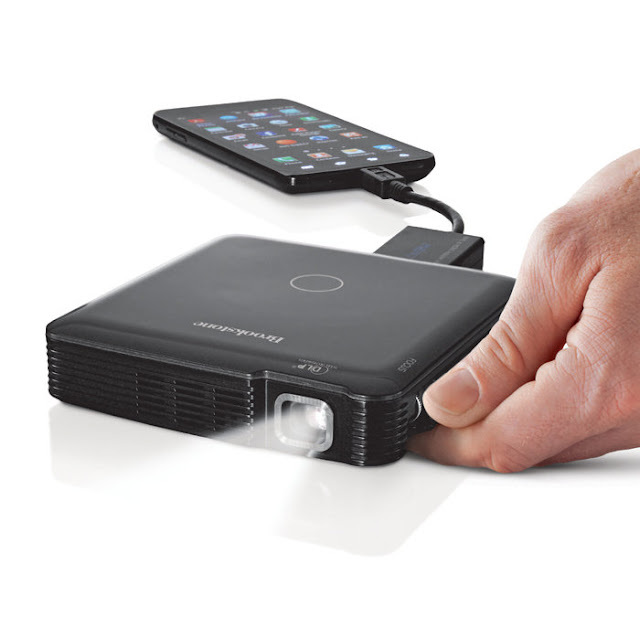 I love LOVE this, it is a mini projector that your phone plugs into, it had duel built- in speakers and focus control, rechargeable battery which doubles as a USB backup battery for your smartphone devices, the battery ;asts up to 2 hours and has an AC adaptor, the projector connects via HDMI but to use on iphone you will need an Apple digital AV adaptor which isn't included with the projector. So if you want to your videos you have recorded or even YouTube videos why not watch them via this projector! It does have a pretty big price tag of £299 but it's a pretty cool gadget! Yes another gaming gadget for your phone, what can I say, I love to game! GamingKlip was made and run by Ryan French from Redmond USA. He created the Gamingklip so it attaches to your Android phone to a duelshock3 controller which are normally used for the PS3. 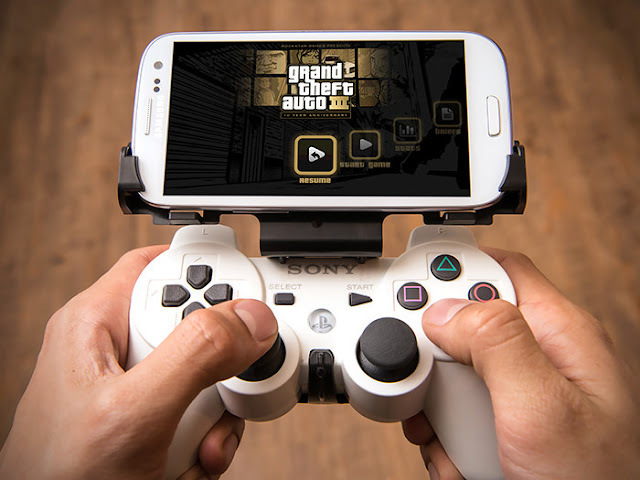 The GamingKlip allows you to use a real controller (instead of the screen on your phone) to play games on your smartphone, which gives you the real full console experience at just a fraction of the cost. 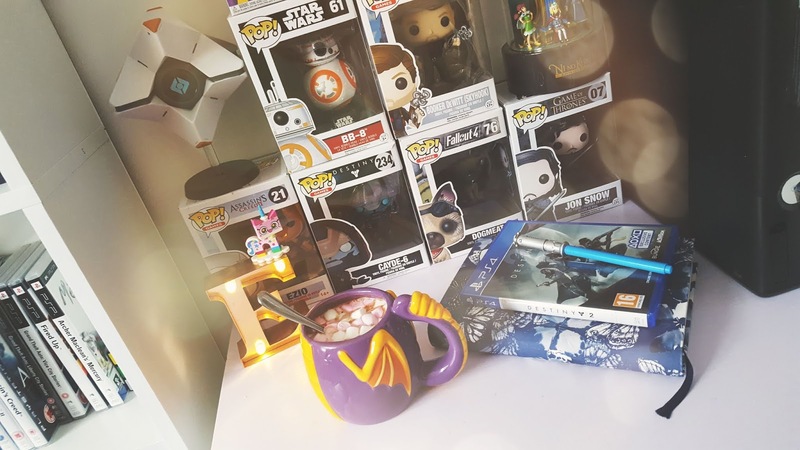 The GamingKlip retails at $19.95 which is a steal! An NCS sufferers mini guide to summer. My life after Hyperemesis Gravidarum.